This is the price to order the home with none of the options listed below. Standard Features are included in this price. This is the price to order the home as displayed with the options listed below. Standard Features are included in this price. These homes have a high degree of customization available, so base prices are not applicable. A Blacks Home Sales team member can work with you to get some price estimates on YOUR custom version of this home. Display Status: Available for Order! Colony Homes’ Eastland Prime Series builds on the Eastland Concept series by bundling many popular options into the standard features. 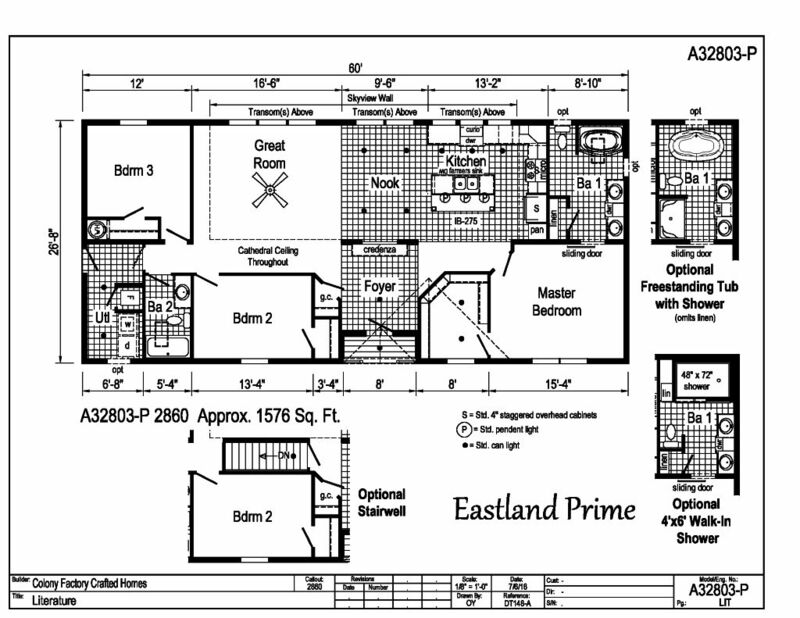 The Eastland Prime features the Sky View sidewall system for a bright, airy living space. Please remember that Colony Homes floor plans can often be built in their other series and include upgraded options for a charge. For more information on the Eastland Prime Series, please view the Standard Features.